Peters' contract with the Rams became fully guaranteed Wednesday, Cameron DaSilva of USA Today reports. Analysis: With the new league year starting Wednesday, the Rams can stick with the cornerback's original salary of $9.1 million, sign Peters to a new deal, or trade him to save his cap hit. Peters is currently on the fifth and final year of his rookie deal, and could conceivably hold out to negotiate a new contract. In 16 games last season, the 26-year-old made 43 tackles (33 solo) and had three interceptions. Peters is questionable to return to Monday's game against the Chiefs due to cramping, Gary Klein of the Los Angeles Times reports. Analysis: Peters came was forced to one knee midway through the third quarter. If the cramps persist and Peters is forced out for the remainder of Monday's contest, Sam Shields and Nickell Robey-Coleman both figure to see some additional work at cornerback. Peters said Wednesday that he feels 100 percent healthy, Herbie Teope of NFL.com reports. Analysis: Peters suffered a calf injury in Week 3 against the Chargers but didn't miss action in Weeks 4 or 5. The 2015 first-round pick was on the wrong end of big-play touchdowns in Week 5 against the Seahawks, which prompted questions about his health. Peters shut those rumors down Wednesday saying, "What do you want me to say? I feel 100 percent? Yeah, I do. I feel 100 percent." Peters appears good to go for Sunday's game against the Broncos. Peters recorded six tackles during Thursday's 38-31 win over Minnesota. Analysis: The first-year Ram started the game and played all 74 defensive snaps. Obviously, the Minnesota passing attack had its way, as Kirk Cousins totaled 422 yards through the air. However, fantasy owners and Los Angeles fans have to be thrilled that Peters was able to make an impact and play the entire game without a setback to the calf injury he suffered last week against the Chargers. Peters (calf) is active for Thursday's game against the Vikings, Lindsey Thiry of ESPN.com reports. Peters (calf) is unlikely to play Thursday against Minnesota, Adam Schefter of ESPN reports. Peters (calf) is listed as questionable on the Ram's final injury report of Week 4, Cameron DaSilva of USA Today reports. 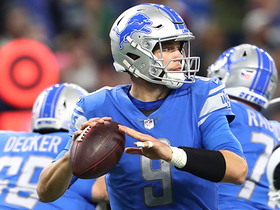 Analysis: Peters has not participated in practice since suffering a calf injury in Sunday's win over the Chargers but has reportedly taken positive steps in his recovery. The star cornerback would be a notable boost to the Rams' secondary on Thursday Night Football, which will be without Aqib Talib (ankle) for at least the next eight games. 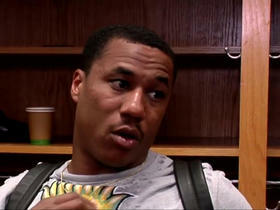 If Peters is sidelined for any amount of time, expect Troy Hill to step in as Los Angeles' starting left cornerback. Peters (calf) is likely a game-time decision for Thursday's contest against the Vikings, Vincent Bonsignore of The Athletic reports. Analysis: Peters injured his calf during Sunday's win over the Chargers and was originally expected to miss two to four weeks. Per the report, however, head coach Sean McVay said that Peters has taken positive steps and could be active Thursday versus the Vikings. If he's able to play, Peters' presence will be a huge boost to a Rams' defense that will be without Aqib Talib (ankle) for a significant amount of time. Peters is believed to have a calf strain and could be out 2-4 weeks, Ian Rapoport of NFL Network reports. Analysis: The good news is that initial tests don't show any ligament damage, though Peters will still need an MRI to confirm that he avoided a severe injury. 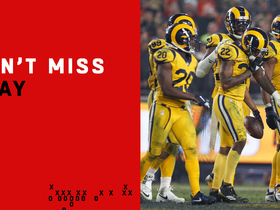 The Rams are suddenly looking quite thin at an obvious position of strength, as Aqib Talib (ankle) also suffered an injury during Sunday's 35-23 win over the Chargers. It'll be good news for Stefon Diggs and Adam Thielen if the Rams are forced to play without their top two cornerbacks in Thursday's highly anticipated NFC showdown. Peters was seen in a walking boot after Sunday's 35-23 win over the Chargers, Rich Hammond of the Los Angeles Daily News reports. Analysis: He was at least seen walking under his own power though the boot suggests he will be forced to miss some time. With Aqib Talib (ankle) also injured, the Rams are suddenly depleted at cornerback. 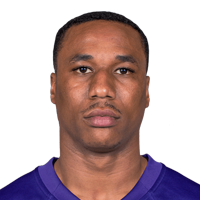 Troy Hill will likely replace the 25-year-old if he is out for the matchup with the Vikings in Week 4. Peters (lower leg) has been ruled out for Sunday's game against the Chargers, Adam Schefter of ESPN reports. Analysis: Peters suffered a serious looking leg injury during the first quarter of Sunday's game and was carted to the locker room. 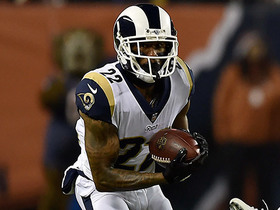 Troy Hill will step in as the Rams' starting left cornerback to conclude Week 3's contest. Expect an update on Peters' health after the game. Peters exited Sunday's game against the Chargers due to a leg injury, Rich Hammond of the Los Angeles Daily News reports. Analysis: Peters left the field with the assistance of trainers during the second quarter. The star cornerback avoided placing any weight on his right leg and will be examined by the team's medical staff. If Peters is unable to return to the field, expect an update on his health after Sunday's game. Peters recorded three tackles (one solo) and returned an interception for a touchdown in Monday's win over the Raiders. Analysis: Peters picked off Derek Carr late in the fourth quarter, taking it to the house and officially putting to rest any chance of a Raiders' comeback. He'll now turn his focus to Sunday's matchup with Larry Fitzgerald and the Cardinals. The Rams picked up Peters' fifth-year option Tuesday, keeping him under contract through 2019. Analysis: This was fully expected ever since the team agreed to trade for Peters in late February. He has 21 career interceptions, which is the most of any NFL player since the young defensive back entered the league as a first-round pick in 2015. Peters is expected to line up as a starting corner alongside Aqib Talib as part of a revamped Los Angeles secondary. The Chiefs agreed to trade Peters to the Rams on Friday, Ian Rapoport of NFL Network reports. Peters made four tackles (all solo) and intercepted a pass during Saturday's wild-card matchup with the Titans. He finished the 2017 regular season having racked up five interceptions, four forced fumbles, two fumble recoveries and 46 tackles (42 solo). Peters is inactive for Sunday's game against the Broncos in order to rest, BJ Kissel of the Chiefs' official site reports. Analysis: Peters has been a lock down corner for the Chiefs all season, so the added rest will help ensure he's at full strength for the divisional playoff matchup. Terrance Mitchell will likely see an increase in defensive snaps Sunday. Peters posted two solo tackles, one forced fumble and one fumble recovery Sunday against the Broncos. Analysis: Peters played all 57 defensive snaps Sunday, but it was the fifth time this season he notched just two tackles. However, adding the extracurricular stats certainly helped his fantasy value. Peters now has five interceptions and four forced fumbles this campaign, and with a Broncos team that has turned the ball over 31 times in 15 games, he could be in line for another solid outing. Peters recorded two interceptions and three tackles (all solo) in Saturday's 30-13 win over the Chargers. Analysis: Peters was suspended in Week 14 against the Raiders for his actions during the game a week before. He returned with a vengeance in a key divisional matchup against Los Angeles and could have a chance to add to his interception total next week against the turnover-prone Jay Cutler and the Dolphins. Peters (suspension) will play in Sunday's game against the Chargers, Adam Teicher of ESPN.com reports. Analysis: The Chiefs suspended Peters for this past Sunday's game against the Raiders as punishment for throwing an official's flag and being ejected in the team's loss to the Jets the week prior. Peters, who has recorded 41 tackles and three picks this season, will be back as the starter without any limitations in Sunday's divisional battle with the Chargers. Chiefs head coach Andy Reid announced that he has suspended Peters for Sunday's game against the Raiders, BJ Kissel of the Chiefs' official site reports. Analysis: The cornerback presumably drew the discipline for his actions in the Chiefs' Week 13 loss to the Jets, during which Peters left the field after thinking that he had been ejected from the contest after picking up an official's flag and tossing it into the crowd. Through 12 contests this season, Peters has logged 41 tackles, two forced fumbles and three picks, so those who normally roll with him in IDP formats will need to find a replacement in Week 14. 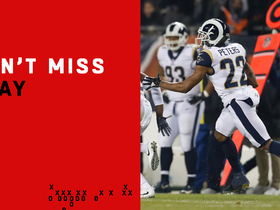 The "Playbook" crew examines Los Angeles Rams cornerback Marcus Peters' ability to guess and read quarterbacks for interceptions. NFL Network Insider Ian Rapoport discusses which players won't have podiums tonight at Super Bowl LIII Opening Night. 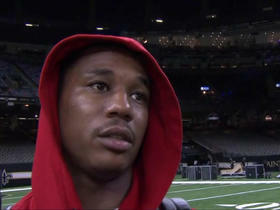 NFL Network's Steve Wyche catches up with Los Angeles Rams cornerback Marcus Peters after his team's NFC Championship Game victory over the New Orleans Saints. 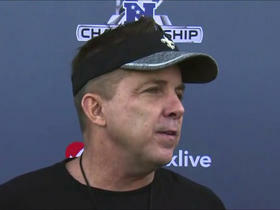 New Orleans Saints head coach Sean Payton talks about nearly drafting Los Angeles Rams cornerback Marcus Peters. 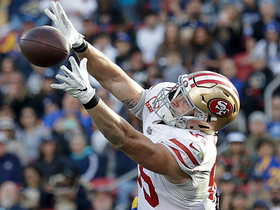 San Francisco 49ers tight end George Kittle gets off both feet to make a leaping grab. 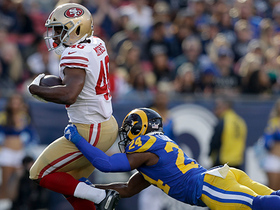 San Francisco 49ers running back Alfred Morris churns for every yard on this 51-yard rush. 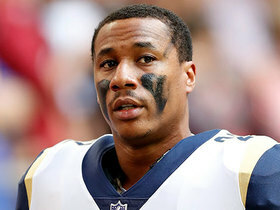 Los Angeles Rams cornerback Marcus Peters responds after a Week 15 loss to the Philadelphia Eagles. Los Angeles Rams cornerback Marcus Peters runs back an interception of Chicago Bears quarterback Mitchell Trubisky. Los Angeles Rams cornerback Marcus Peters intercepts Kansas City Chiefs quarterback Patrick Mahomes.